It’s the end of an era. After 67 years of making one of the most iconic off-roaders, Land Rover has called time on the iconic Defender. 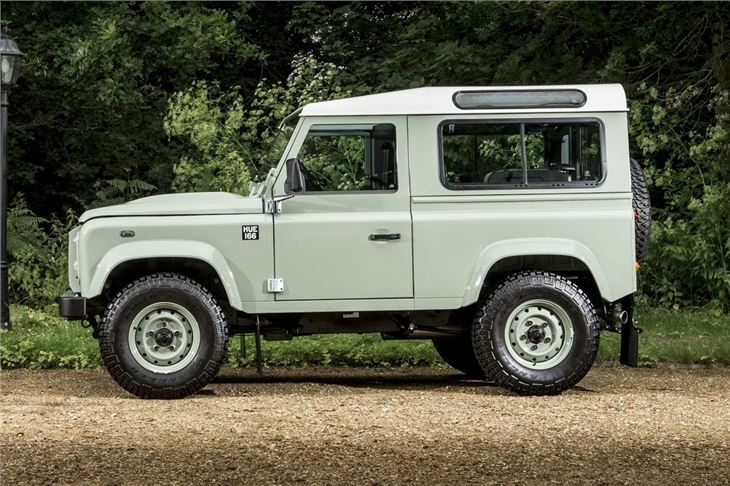 And to mark the occasion, they’ve given us this – the final Defender Heritage. As someone with a real soft-spot for these vehicles, I should probably declare an interest – but then if you’re reading this, you’ve probably got an interest to declare, too. And you’re in good company. Winston Churchill, Hollywood celebrity A-listers like Tom Cruise and Mel Gibson. Even the Queen. 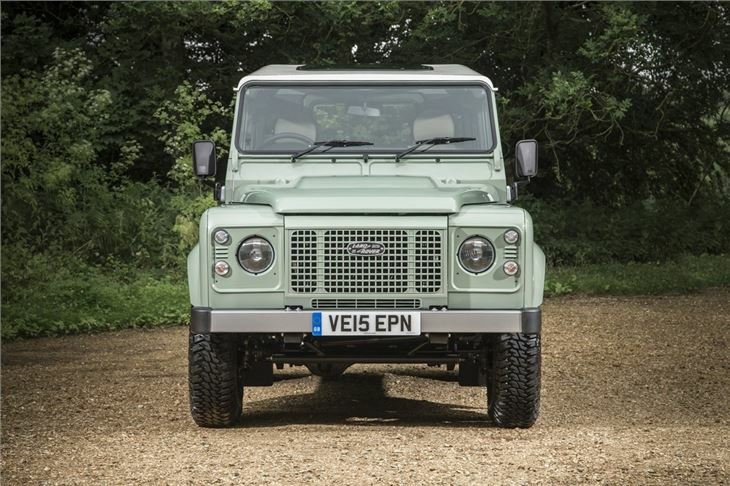 Everyone loves the Defender. 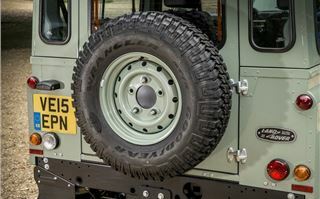 Developed by Rover after the war for agricultural use, it was designed to fill the gap between a truck and a tractor. 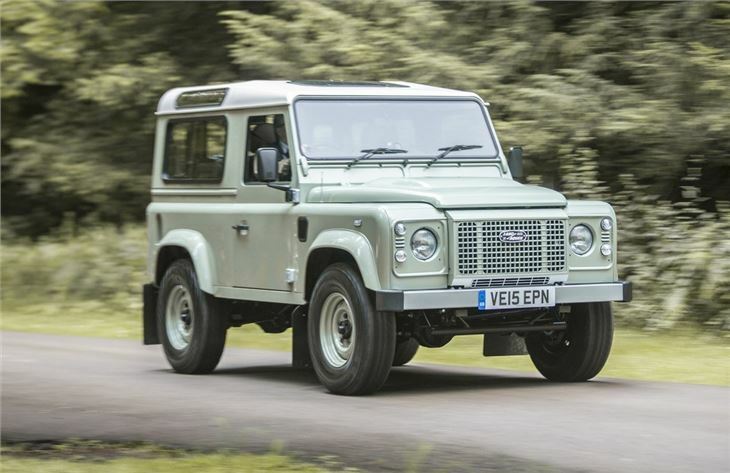 If you’ve driven one, then you’ll know the handling hasn't evolved that much since it was launched in 1948. 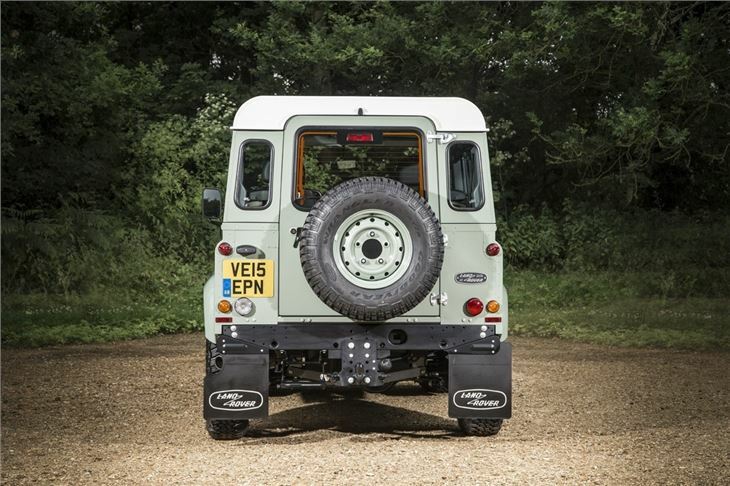 But then no other vehicle has travelled the globe in the same way as the Defender. In 1955, it became the first car to travel overland from London to Singapore and has been used as a workhorse in some of the remotest parts of the planet. 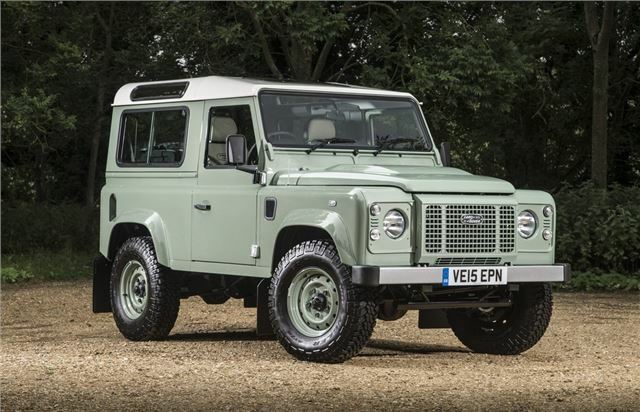 Like the original Land Rover, this Heritage 90 comes in Grasmere Green paint - a colour scheme determined by a surplus of military paint, rather than a team of cappuccino-sipping designers with expensive glasses. And, like the original vehicle, it wears its heart on its sleeve. Or rather wing. Look closely and you’ll see a black square with white letters that read HUE 166 – the registration of the first pre-production Series Land Rover. 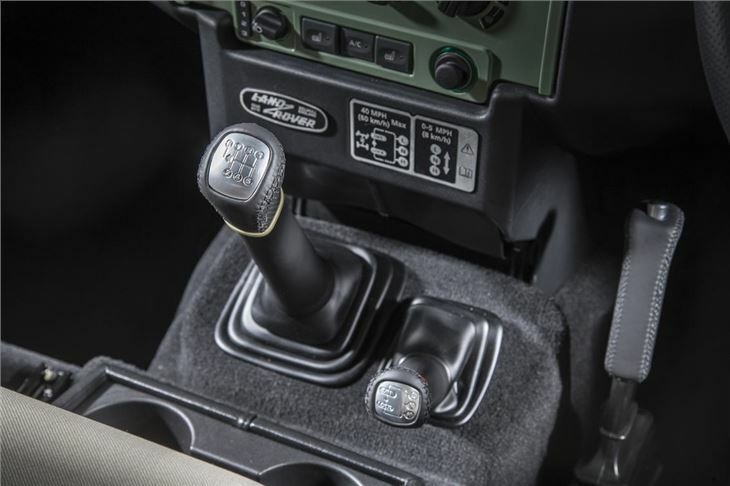 It’s just one of the many neat touches you’ll find on this Heritage edition. 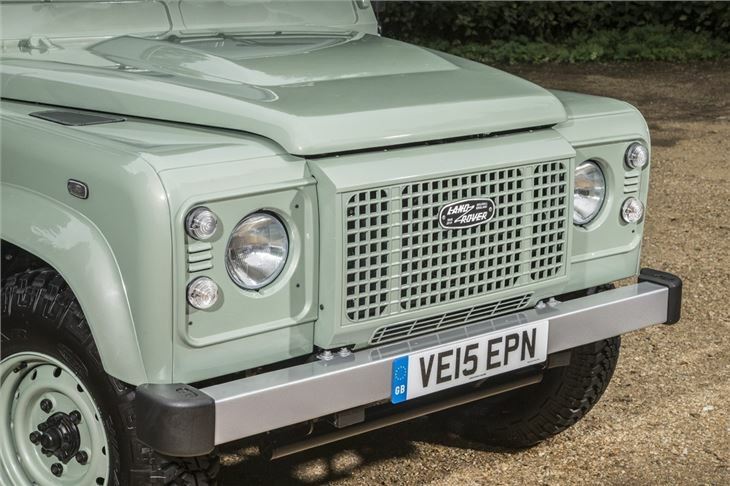 Perhaps the most obvious is the use of the classic ‘lightning bolt’ Land Rover badge, but you’ll have no doubt spotted the heritage-style grille, white roof, and headlamps. And you can’t miss the mudflaps and body colour wheels. 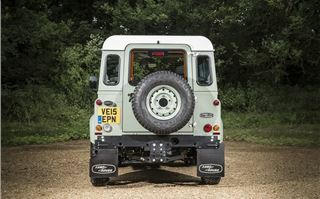 But that’s where the similarities with the classic Series or Defender end. 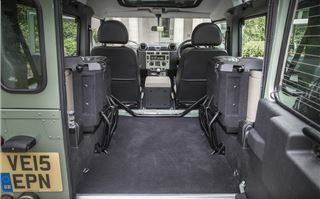 Inside, you’re welcomed by plush carpets, a leather steering wheel and single-piece (rather than split windscreen). It’s a warm day, so I instinctively go to wind down the windows – only to find they’re electric. 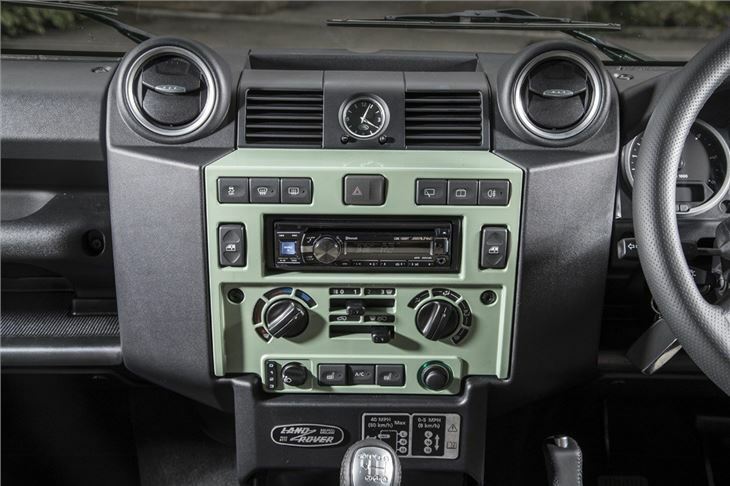 There’s even air-conditioning - and I don’t mean opening quarterlights - a stereo and what looks like some sort of Bluetooth contraption to speak words into. Reassuringly, the ignition barrel is on the ‘wrong’ (i.e. 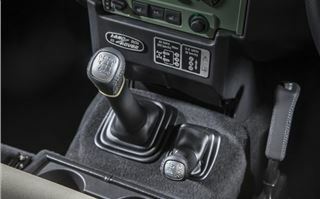 left-hand) side of the steering column and you twist the key towards you, rather than away. 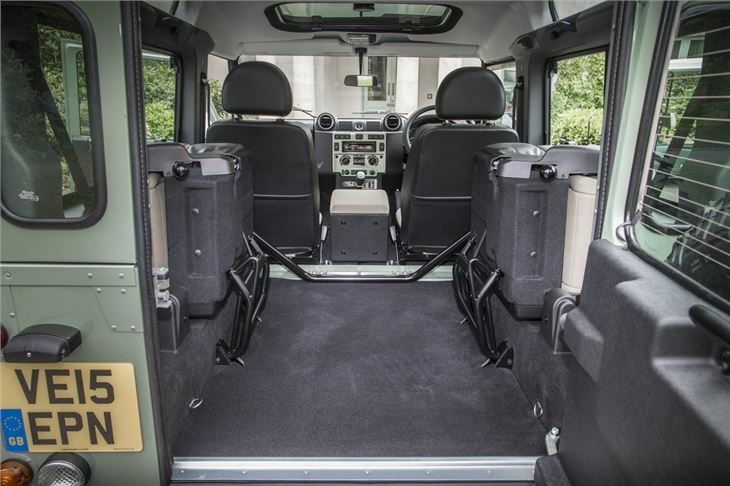 As you do, the Transit-sourced 2.2-litre diesel coughs into life. 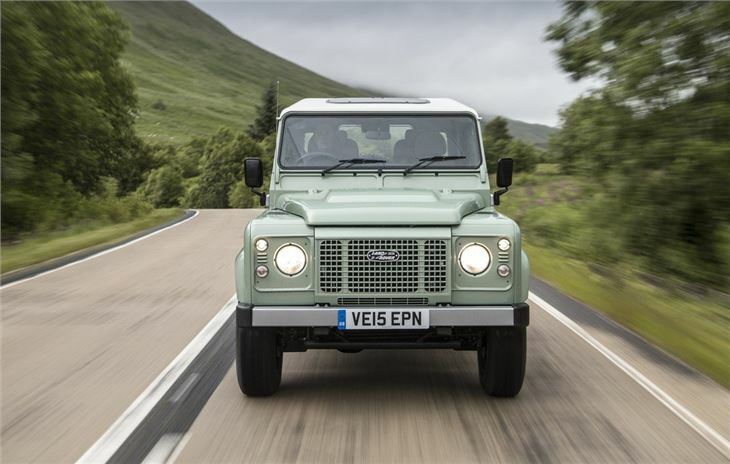 Its 360Nm of torque threatening to propel this Defender to a slightly worrying 90mph top speed while acceleration from 0-62mph takes around 15 seconds. It sounds slow, but out on the road it’s never guilty of holding up the Fords and Audis buzzing around. And thanks to a six-speed gearbox it’s not too noisy on the motorway, either. 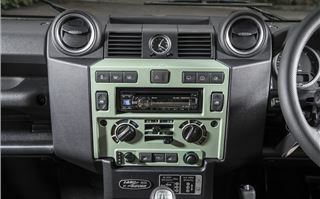 Driving a Defender still feels like you're teetering on the edge of a box (a fuel tank, actually), but it’s comfortable enough. 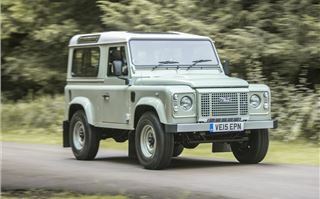 And you’re constantly reminded of the vehicle’s age thanks to its old school worm and peg steering, which gives the same vague, imprecise, yet sturdy feel of a late-Fifties Rover saloon, only minus the aroma of wood and leather. Luckily, the brakes are all mod cons with servo-assisted discs front and rear. 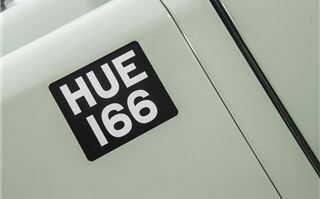 Along with the 90 Station Wagon and Hardtop versions, the Heritage is also available as a 110 Station Wagon. It's certainly a collectors' item although if you want real luxury there's the even more limited edition Defender Autobiography which costs an eye-watering £61,845. Not surprisingly, production is 'limited' to just 80 cars in the UK. 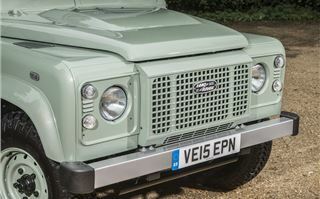 With just 400 Defender Heritage models being made, you’ll have to move quickly if you want one. You’ll need deep pockets, too, as you won’t get much change from £31k. And with that turbodiesel returning just 27.7mpg, it might be worth taking shares in OPEC. But that’s not the point. If you’re after a tall luxury status symbol with leather everything and electronic everywhere, go and buy a BMW X5. 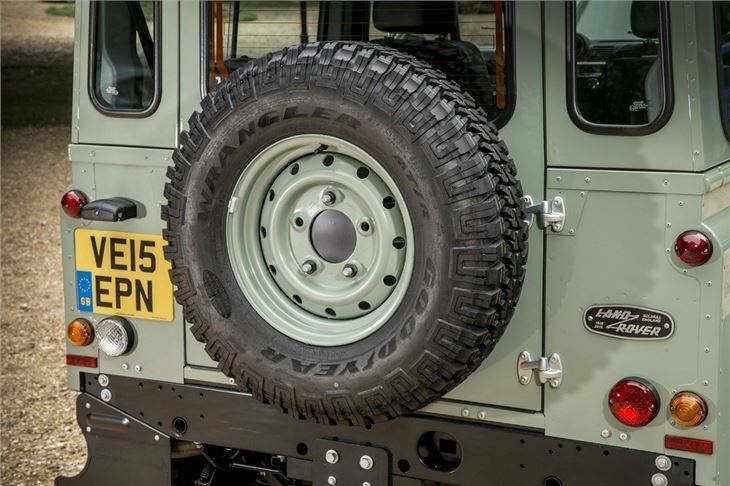 If you want a vehicle that you can drive non-stop to the remotest corners of the world, then a Defender is the one for you. 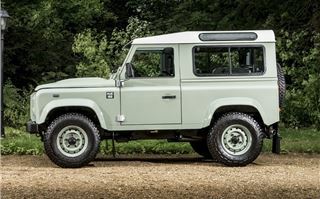 If you want to wear your heritage on your sleeve, celebrate the last hurrah of arguably one of the world’s greatest cars, and own a classic that you can drive every day, then get behind the wheel of a Defender 90 Heritage.